Jambalaya Dinner Cajun Rice – Comes complete with rice and all seasonings. Just add your choice of meats; chicken, sausage, turkey or ground beef. 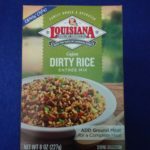 Be the first to review “Jambalaya Dinner Cajun Rice” Click here to cancel reply.